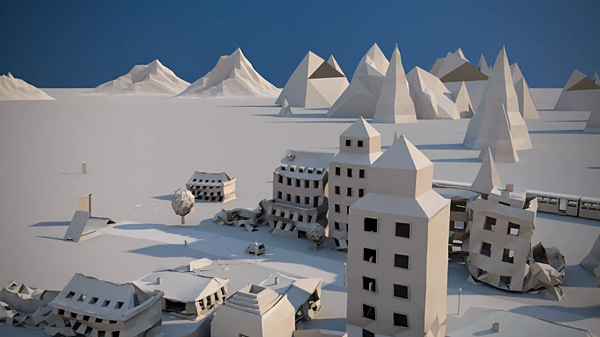 A short animation that follows the rise and fold of a fragile metropolis. Captured by an unseen helicopter, the narrative unfolds through winding roads, erupting forests, and emerging mountains. Paper City grows in one fluid take, with skyscrapers rising from the page—only to crumble, wrinkle, and gently crease back into the ground.